The Presidential Football Cup is a national football competition introduced by Malawi Government in April 2008 as a Presidential Initiative to primarily promote and develop the game of football in the country. It is a brainchild of the late State President, Professor Bingu Wa Mutharika geared towards improving the standard of football in the country and providing wholesome entertainment to soccer loving Malawians across the entire breadth of the country. Presidential Football Cup is administered by Football Association of Malawi (FAM), the governing body of football in the country, mandated by the Federation of International Football Associations (FIFA) to organize, administer, develop and control the game of football at all levels. FAM was formed in 1966 by an Act of Parliament through Malawi National Council of Sports and was affiliated to FIFA in 1967. The official sponsor of Presidential Football Cup is Malawi Government that has pledged to sponsor the Competition to the tune of MK 60 million a year. Presidential Football Cup competition is played in three phases as follows: preliminary phase, play offs phase and national phase. The preliminary phase matches of Presidential Football Cup shall take place parallel but simultaneously between district level, regional level and youth category. The women committee shall be responsible for setting the format of the preliminary phase of the women category. All Super League teams shall be exempted from participating at this level. The district teams (i.e. non-league sides in all districts) shall play against each other in the preliminary phase. The teams registered with the Southern Region Football League (SRFL), Central Region Football League (CRFL) and Northern Region Football League (NRFL) shall play against each other in the preliminary phase. The teams registered in the National under 20 Youth League shall also play against each other in the preliminary phase. The winner from each district and the top four (4) teams from the SRFL in the south, the top four (4) teams from the CRFL in the center and the top four (4) teams from the NRFL in the north as well as two (2) teams from the National Under 20 Youth League from each Region shall qualify for the Play Off phase of the Competition having received prize awards as determined by the Organising Committee. The National Phase comprise of 16 (fifteen) teams who qualify for the regional phase. After two years absence the competition bounced back in 2016. 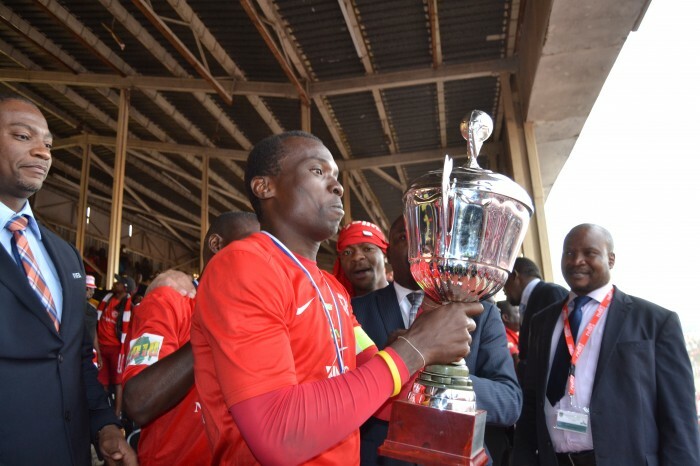 About 706 team took part in the Competition which was won by Nyasa Big Bullets whop beat Moyale Barracks on post match penalties after a one all draw in regulation time of the final played on 16th July 2016 at the Civo Stadium in Lilongwe.